Africa and China both are cradles of human civilizations with long history and splendid culture. Cultural exchanges between the two sides can be traced back to a distant past. As early as 2,000 years ago in the period of the Han Dynasty (202 B.C.-220 A.D.), China and Africa came to know each other and began indirect trade. From 1405 to 1433, Zheng He, a Chinese navigator of the Ming Dynasty (1368-1644) sailed westward through the Indian Ocean and beyond for seven times, out of which he reached the African coast. Nowadays, the story of his voyages is still recounted in several African countries. The founding of the People’s Republic of China in 1949 opened a new era of China-Africa relations. Though, the cooperation between China and African countries has often been portrayed as an economic one. Despite multiple exchanges in culture and knowledge, little is written about Chinese culture in Africa (and vice versa) or interaction in knowledge production. Since the end of the 20th century, the China-Africa cooperation has been more oriented in cultural exchanges, especially through education. Their relationship has now gone beyond political and economic ties, further deepening friendship between the two sides. To date, cultural exchanges between China and Africa have yielded fruitful outcomes. Inter-governmental high-level visits are frequent. Only between 1997 and 2000, more than 200 official cultural delegations from China and African countries, with ministers and cultural celebrities, visited each other. Performing arts groups have been keen on mutual visits in past decades, including acrobatic troupes, national ballets and folk-art troupes. The group visits between China and African countries are engaged by hundreds of thousands of people. 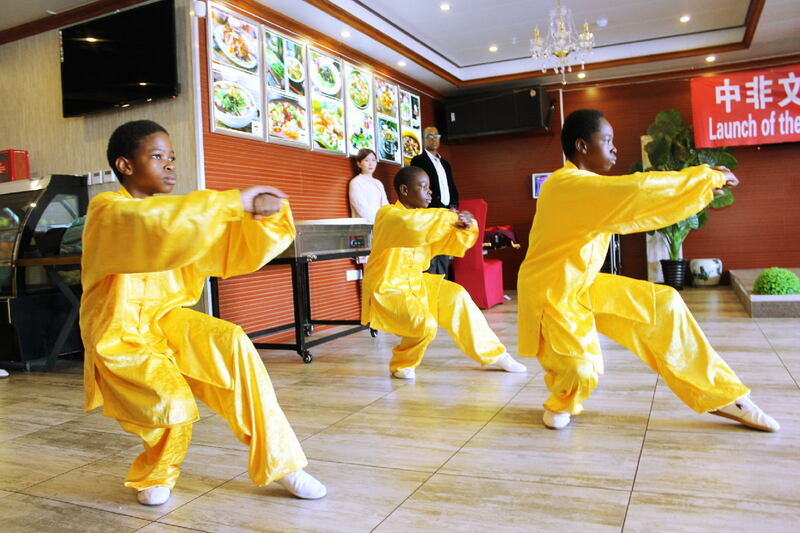 Chinese cultural institutions are increasing in Africa, such as the Confucius Institutes in Cameroon and Egypt, the cultural centers established in Benin and Mauritius, and many martial arts museums. In China, more and more students have started to study African culture in universities as well as primary schools, such as Zhejiang Normal University and Qiubing School in Jinhua City, Zhejiang Province. Special cultural events introducing films and books have been organized, such as “Algerian Film Week” and “Tunisian Culture Exhibition” to Chinese audience and the “Chinese Film Week” and “Chinese Book Fair” to African audience. In the 21st century, globalization and rapidly growing information technology and transport industry have brought together the people of Africa and China, with many living and working in each other’s communities. The technological know-how, which is vital to the striving African industries, is still in an embryonic stage and heavily undermined by language barriers. Some skillful Chinese engineers in Africa may find it hard to communicate in French, English as well as local languages, while many local translators are still in intermediary stage of the Chinese language. Besides, different working environment and convention can also add difficulties in communication. Therefore, overcoming cross-cultural challenges between Chinese and Africans is a matter of priority. Clearly, China and Africa have enjoyed a long history of cultural exchanges, and the booming and diversified cultural exchanges between China and African countries in recent decades have deepened the ties and opened the gate to better mutual understanding between their peoples. Some challenges remain to be overcome by both sides to improve the China-Africa cultural exchanges and strengthen the people-to-people bond. But it is certain that the future of China-Africa relations is bright and promising. The author, a Ph.D. from Cameroon, is a research fellow and secretary-general of the Center for African Film and TV at the Institute of African Studies, Zhejiang Normal University.